A contract addendum makes it possible to further explain, include additional information or add certain terms and conditions without writing an entirely new agreement. An addendum works much like an amendment, except that you add to or modify the contract before, rather than after both parties approve and sign the agreement. Although an addendum most often is a separate document, it attaches to and becomes part of the original agreement. Although an addendum should affect only specific terms, clauses, sections and definitions, unclear verbiage or incorrect terminology can change meanings and create loopholes that affect other parts of the contract. The goal is to add or modify only the parts of the contract that all parties want to change, because once signed, both the contract and addendum become fully enforceable. 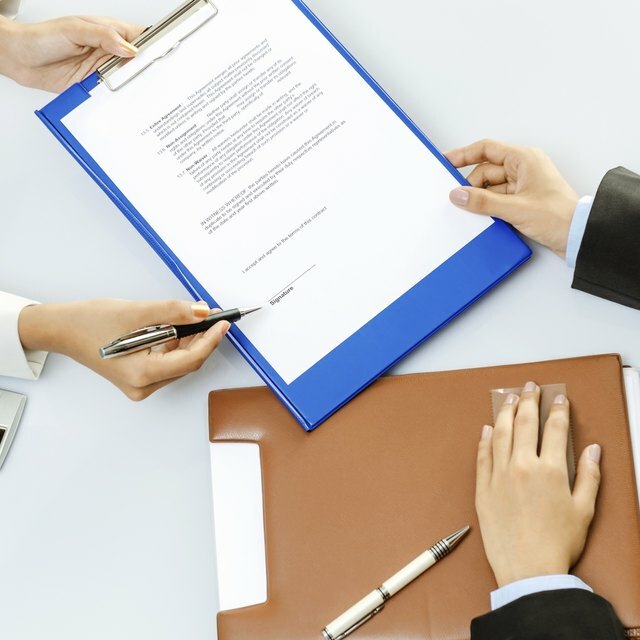 For this reason, it’s just as important to work with an attorney or submit an addendum for review as it is to get legal help or advice in drafting the original contract. You can be neither too explicit nor too clear when writing and listing additions or modifications in the body of the addendum. List each change on a separate line, and be clear, thorough and concise. Following an opening statement such as "The Contract shall be modified as follows," Black’s Law Dictionary recommends taking steps to emphasize differences. For example, display both the old and new portions of a modification side by side and use strike-through and bold styling to emphasize changes. Review terms and verbiage to make sure the addendum doesn’t contradict or conflict with remaining terms and conditions. Before closing, explicitly state that whatever the addendum doesn’t address specifically remains in full force and effect. Include separate signature and date lines for each party to the original contract and two witnesses. Once you have signed the addendum, attach the document to the contract.